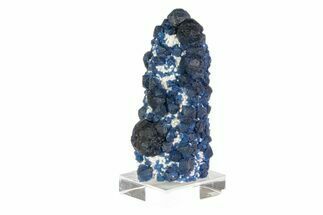 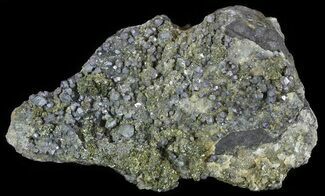 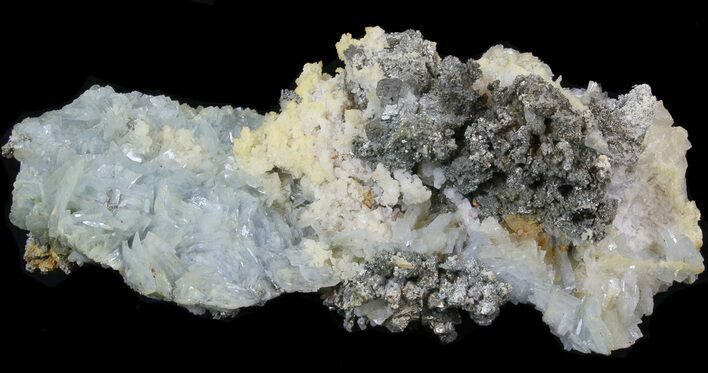 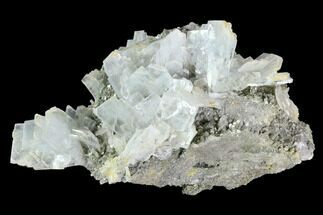 This collector quality specimen contains hundreds of beautiful blue-green bladed barite crystals of varying sizes. 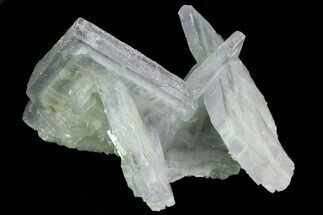 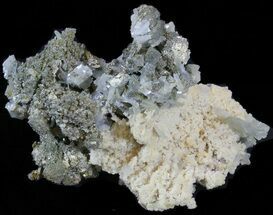 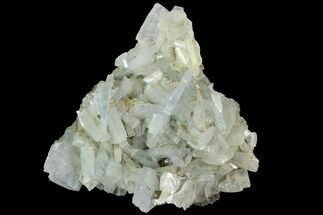 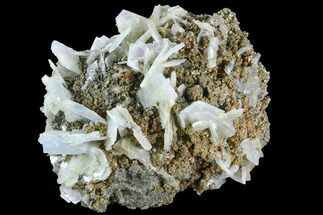 These delicate translucent barite crystals surround a matrix composed of quartz and pyrite. 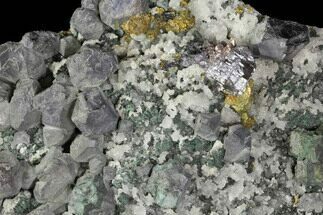 Cubes of pyrite can be found in clusters throughout portions of the specimen, though the majority of the crystal faces are microscopic.